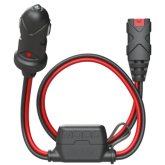 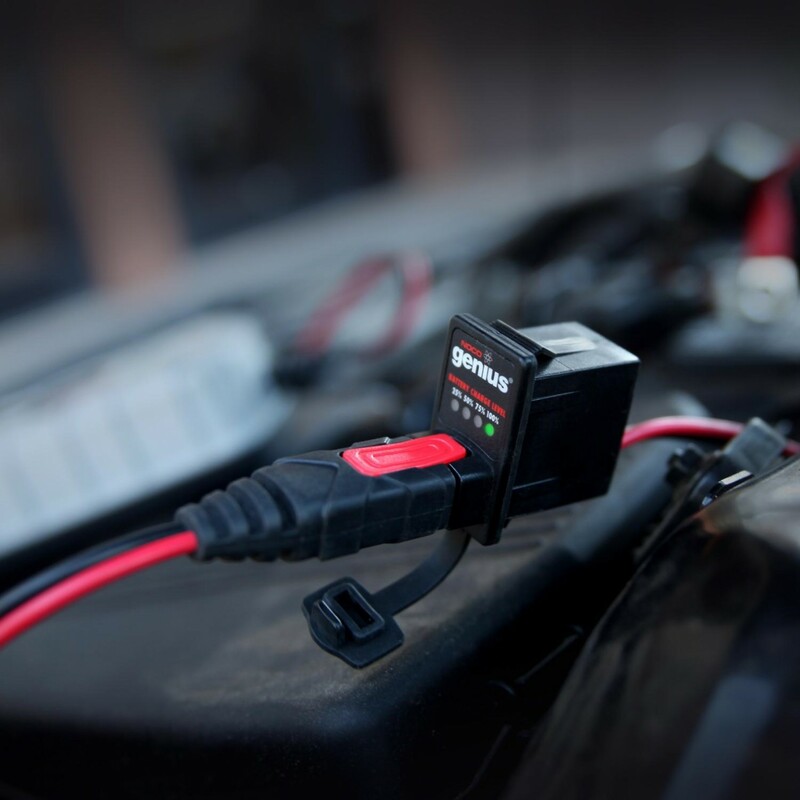 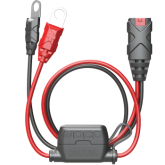 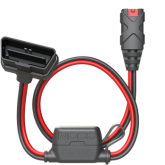 X-Connect 12V Dashmount Indicator allows you to remotely connect to your battery, as well as, display the batteries state-of-charge in 25% increments. 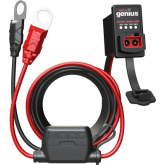 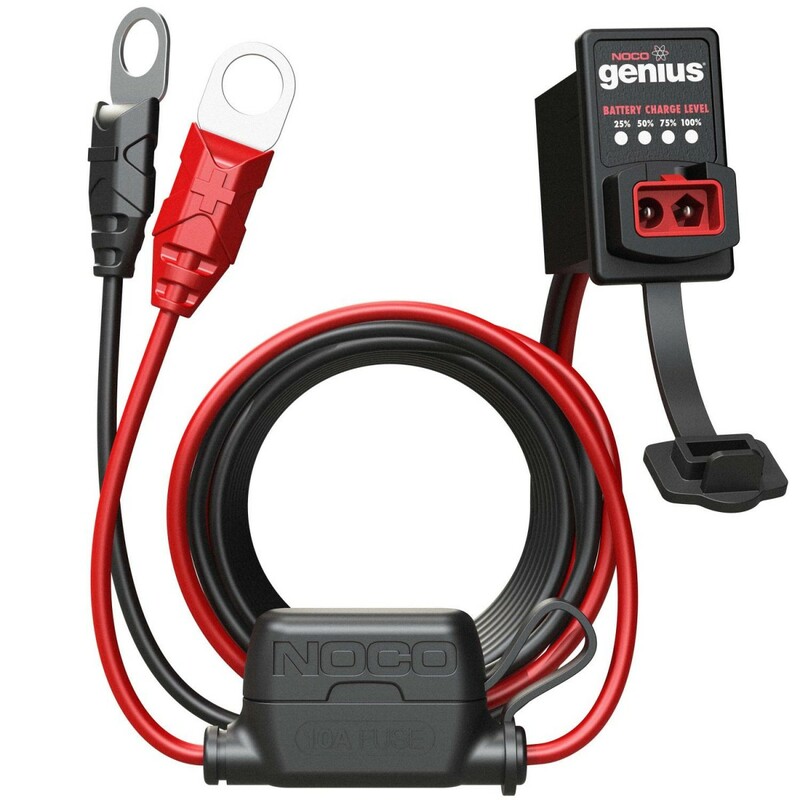 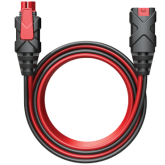 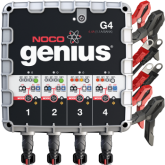 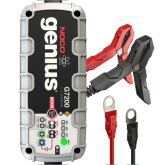 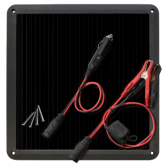 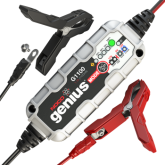 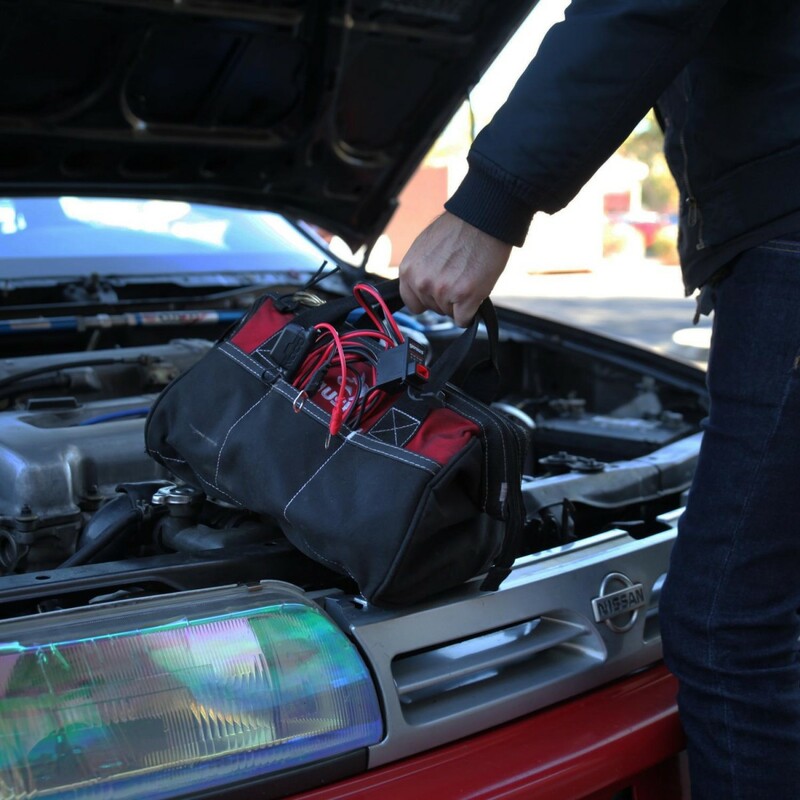 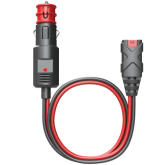 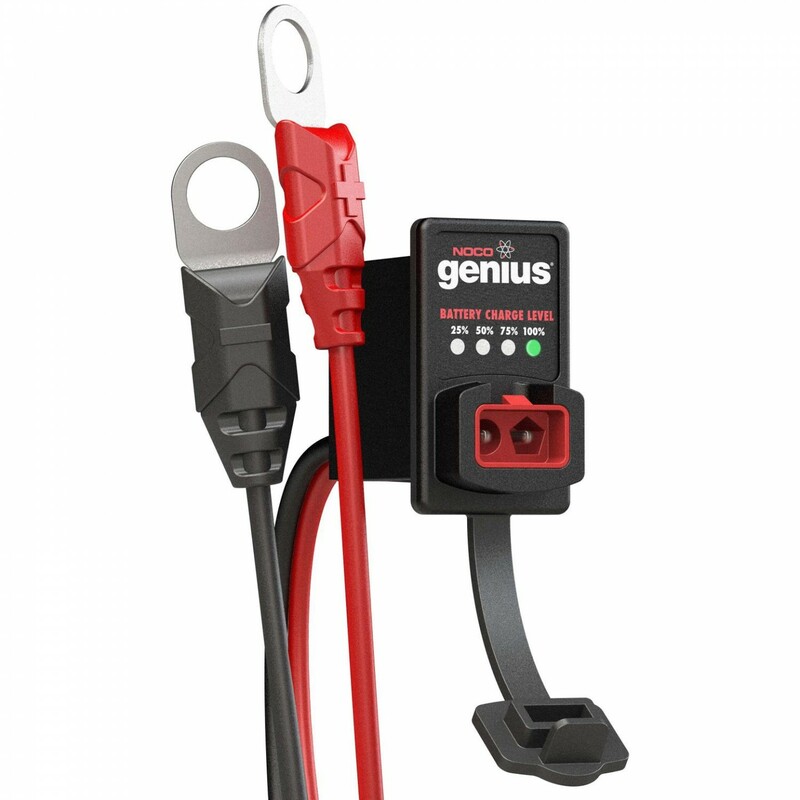 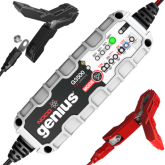 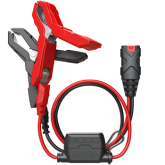 It permanently attaches with 3/8-inch eyelet terminals to your 12-volt battery, integrates with X-Connect accessories for plug-n-play charging, and remotely monitor and access your battery up to 80-inches away. 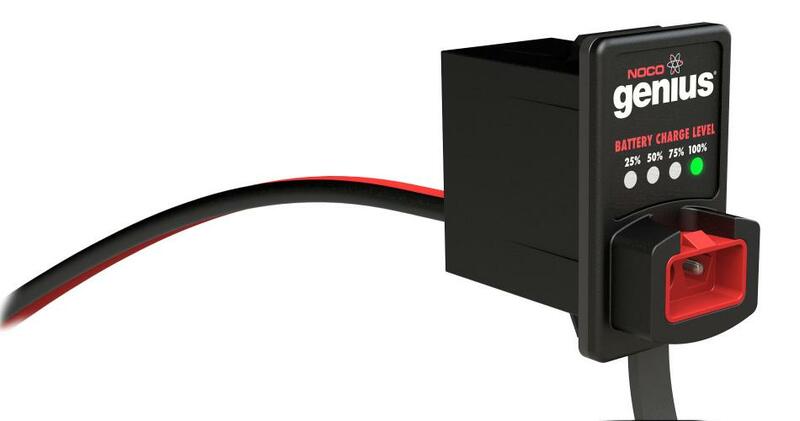 Ultra-efficient LEDs flash, showing the current charge status and draining almost zero power from the battery. 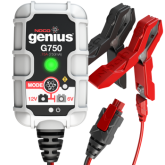 Displays battery state-of-charge in 25% increments. 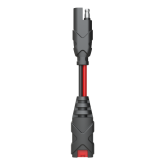 Lie-flat design for seamless installations with M10 (3/8-inch) hole size. 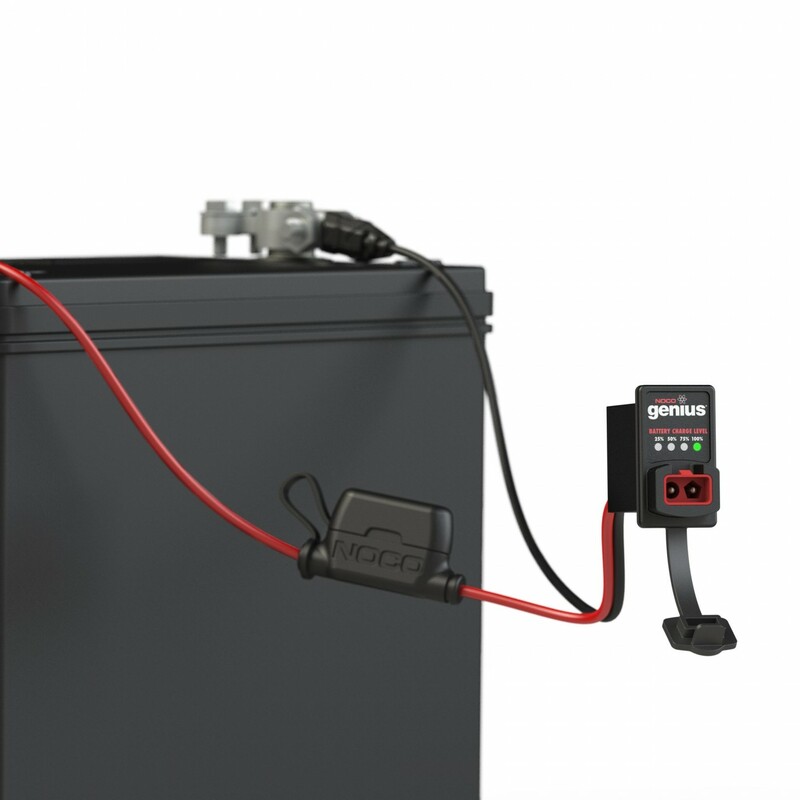 Mountable up to 80-inches away from your battery. 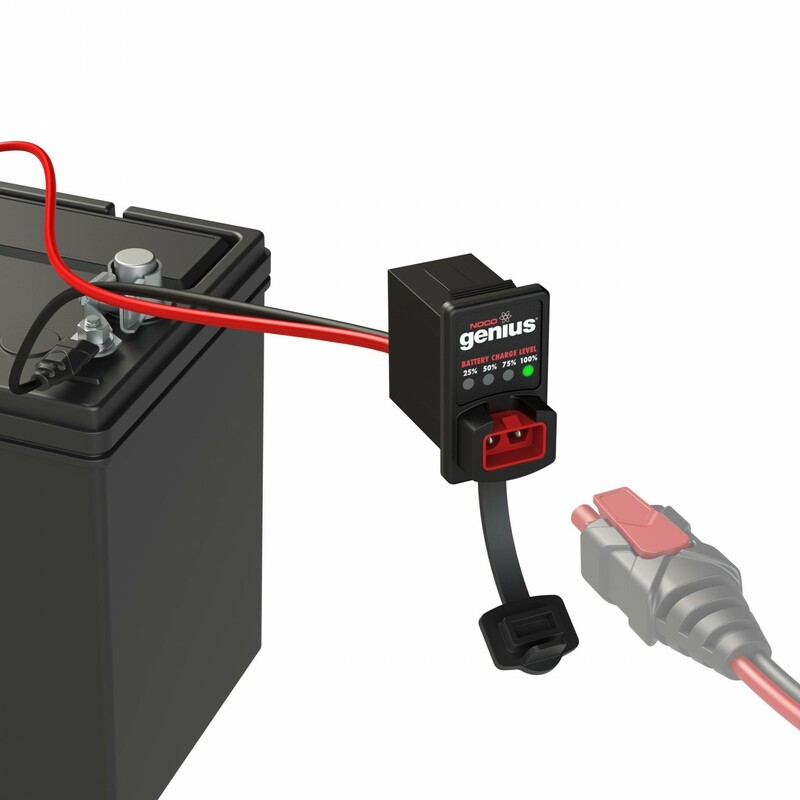 Ultra-efficient design drains almost zero battery power. 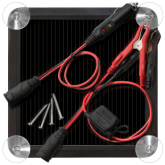 Monitor the health of your battery from your dash. 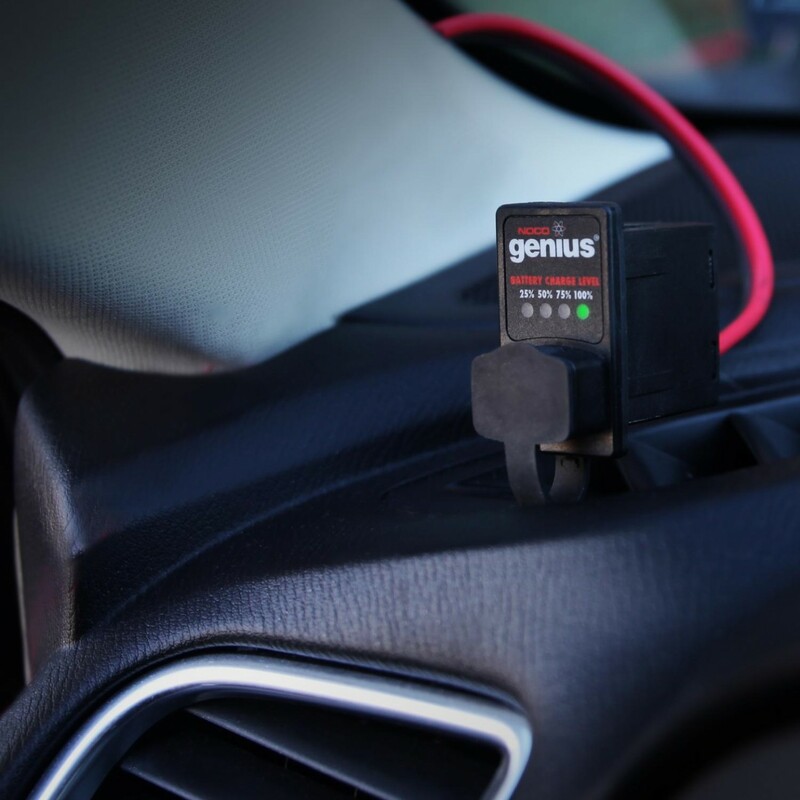 The dashmount indicator was designed to fit in vehicles that have slots for rocker switches or other various accessories. 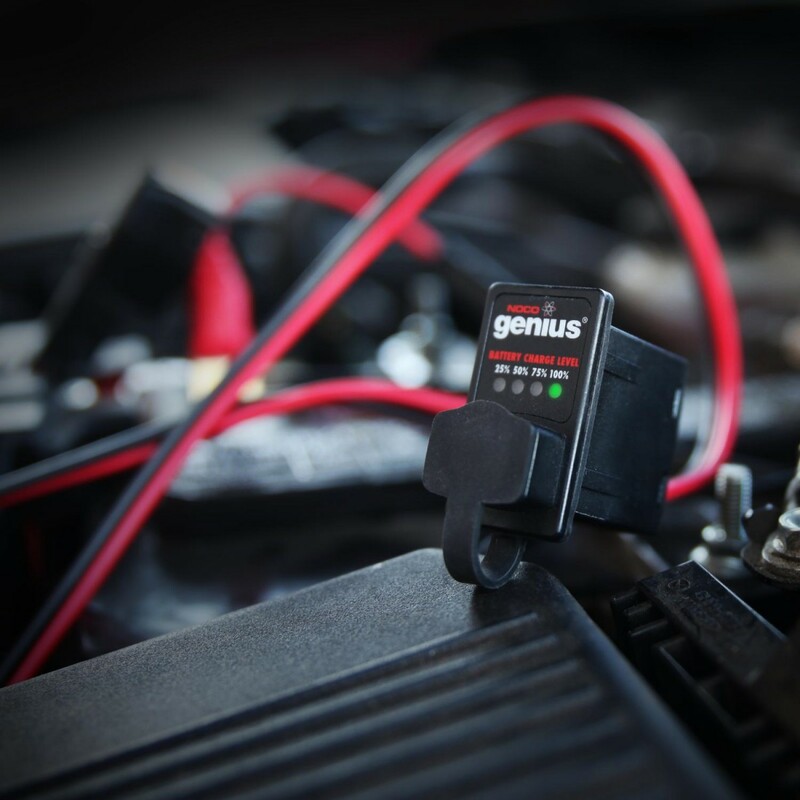 The dashmount indicator also includes a female X-Connect port to make battery charging simple and easy.